Evian says it will produce all its plastic bottles from 100% recycled plastic by 2025. Starbucks made headlines this summer with its pledge to eliminate plastic straws by 2020. British supermarket Morrisons said it would bring back “traditional” brown paper bags for loose fruit and vegetables, which means that 150 million small plastic bags will be removed from circulation. But is any of this foot-stomping about plastics really enough? Isn’t it time for to ask the world’s scientists to research and develop polymers or plastics with built-in self-destruct mechanisms? Plastics are created from fossil fuels and petroleum and typically don’t biodegradelike materials made from other natural, Earth-based resources such as trees and plants. The heat and catalysts applied during the production process create carbon-based polypropylene chains that form virtually indestructible bonds, something Earth’s natural recycling process cannot break down. Your great-grandparents used glass, metals, and cardboard for containers and storage. You’ve grown up in an era in which the plastic bags, water bottles, straws, coffee cups, and lids you use everyday are made of synthetic polymers. The long chains of polymers have many identical molecules that have not been designed to disintegrate or disappear. Actually, they are meant to last as long as possible — they’re robust, enduring, and resilient. Synthetic polymers have become so adaptable and pervasive that they’ve become the cause of billions of tons of plastic waste. Due to their longevity, plastics not only rise to the skies in landfills but taint natural places like woodlands, mountaintops, and oceans. Well, you might say, we’ve changed from years ago, and now we recycle. Yes, many people sort their their trash and separate according to plastics/ cardboard, (compost? yay!) and non-renewable materials. So that’s an improvement, right? Actually, only 10% of all plastics are recycled each year, and collection and sorting remain big problems for recyclers. Also, the recycling process typically involves melting the plastic and remolding it. It’s not the type of circular economy that’s going to work to help save the planet. And, in the meantime, current commercial plastics are manufactured on the scale of 400 million metric tons a year. The plastics problem is growing and growing. Using chemically-recyclable materials could become practical if companies begin taking responsibility for their products after their useful life. This is both controversial and efficient. What if car seat manufacturers were required to reclaim their products upon being discarded? An internal chemical recycling system might be called upon to make new materials from old ones. “It is literally feedstock recovery,” says Jeannette Garcia, a polymer chemist at IBM, in a recent New York Times article. The European Union is leading the world with proposals to ban single-use plastics, as have some US cities. Plastic grocery bags and straws are new symbols of the problems with our disposable culture. 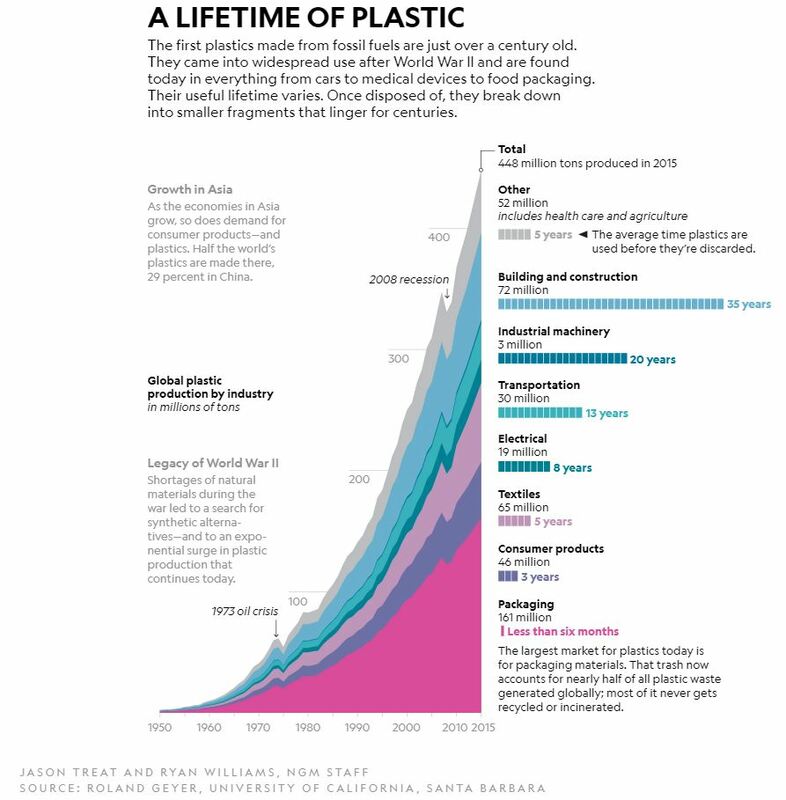 Biodegradable plastics is also a double-digit growth industry coming into its own due to increased regulations and bans against plastic bags and other single-use plastic items. They have potential if discarded in the right place with the right microbes. Chemists around the world are designing and testing new materials that are both durable for the necessary life of an intended item — but also self-destructing. And self-destructing plastics is a good thing! Polymer units are most stable when they remain as small molecules. Scientists coerce those molecules to link up into long chains and segregate the resulting polymers. To make polymers durable and self-destructing, scientists break them apart, or “unzip” them, ultimately switching them back to small molecules. It’s a process of identifying and rejecting many unstable and fragile polymers. Unzipping polymers can also produce adhesives that can be turned off, which can help with separating items like toys or Formica surfaces into their individual components for recycling. Designs with triggers like light or acid pinpoint how and when polymers unzip. 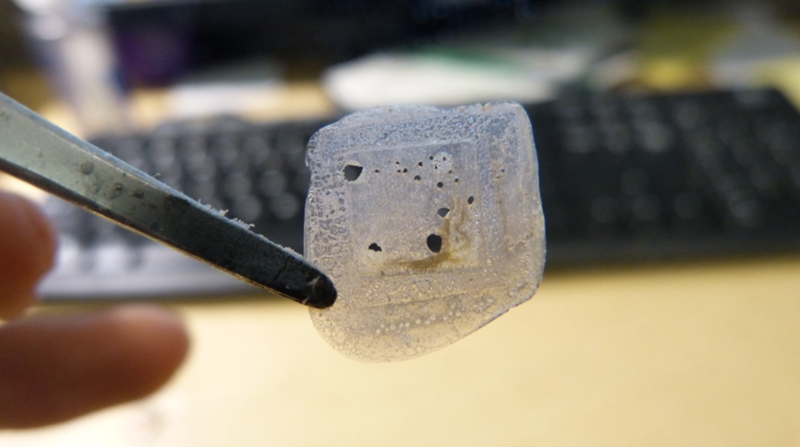 “The real trick is to make them stable when you’re using them, and unstable when you don’t want to use them,” says Marc Hillmyer, who leads the Center for Sustainable Polymers at the University of Minnesota. Any amount of light will begin to degrade the self-destructing plastic, but the timescale is inversely proportional to the strength of the light. On demand, rapid disintegration gives unzipping polymers an edge over biodegradable ones, as biodegradation is often slow and difficult to control. Like many things in our consumer-oriented society, economics play a huge role in next generation plastics, such as those that self-destruct. “In my view it has great potential, the problem is to make it cheap enough and to make the properties competitive enough to be useful and have market penetration for the consumer,” Marc Hillmyer, who leads the Center for Sustainable Polymers at the University of Minnesota, said. “Economically speaking, replacing the most widely used polymers like polyethylene (grocery bags), polypropylene (fishing nets), or polyterephthalate (single-use bottles) with unzipping polymers is not feasible.” For right now, plastic packaging is too affordable to be replaced with self-destructing plastics. But large items like mattresses and car seats have real potential and are the targets of much current research.